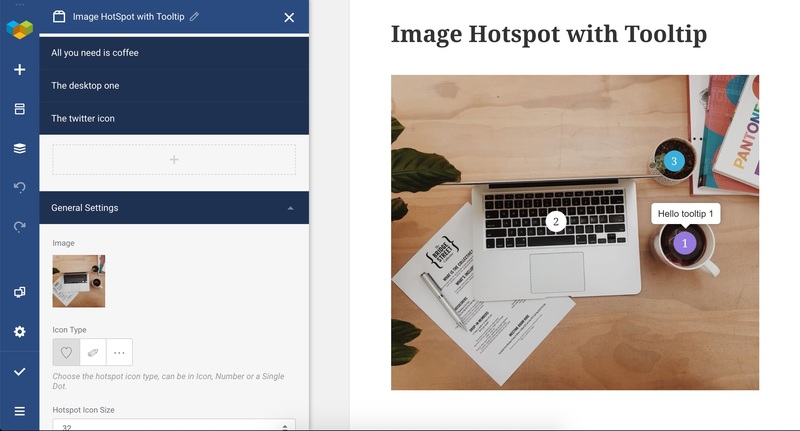 Help you to add hotspot icon with tooltip to an image in Visual Composer Website Builder, hotspot can be in icon, number or single dot. This addon is included in the bundle:Essential Addons for Visual Composer WebSite Builder, it’s recommended to purchase the bundle too, which is alway update to date and include other addons. You can see a screencast from the YouTube, how the editing looks like. Built with native VC API, give you all the flexibility to update the content. 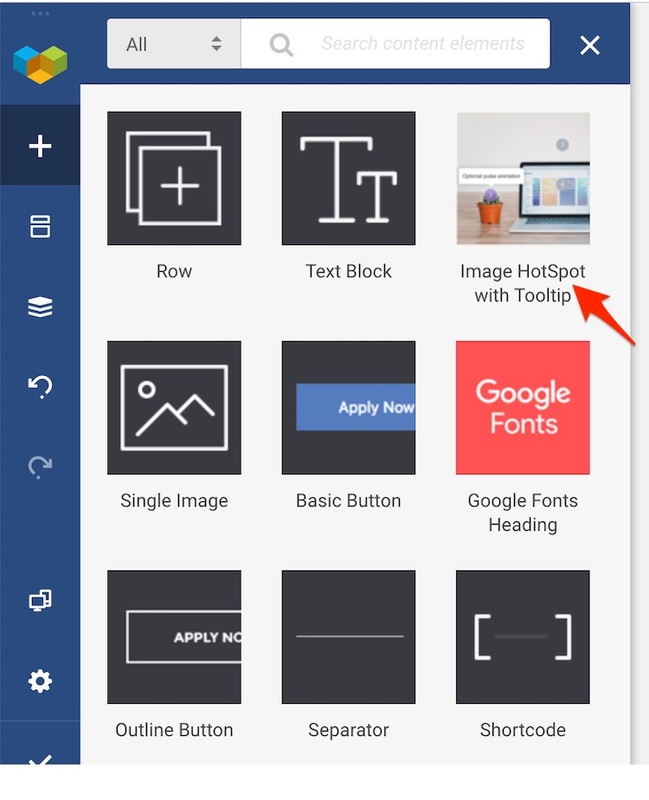 Hotspot support Icon, Number or Single dot. Built-in icon style and support custom color. 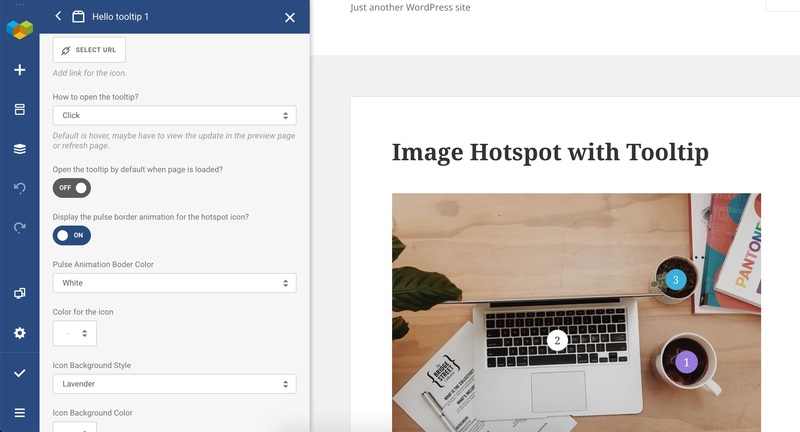 Tooltip support support rich content, like YouTube/Vimeo video, image etc. Optional pulse animation border for the hotspot, optional tooltip style, optional tooltip animation. Tooltip can be triggered by click or hover. Tooltip can be set to be displayed by default.